Are you entering your work in the 2019 Emmy® Awards? 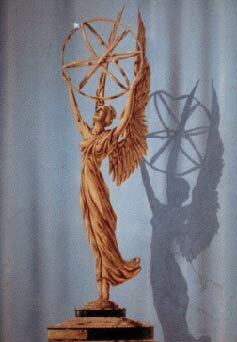 Ever wonder how the concept of the celebrated Emmy® statuette came to be? Read on to learn about the origin of the statuette, how it was designed, how it was named, and more. 1. 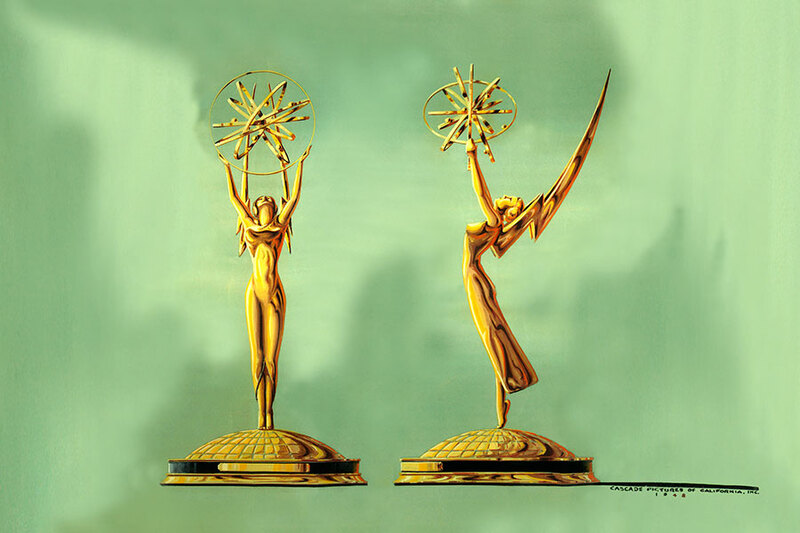 Television engineer Louis McManus created the Emmy® statuette design using an image of his wife as the model. 2. The Academy rejected 47 other proposals before choosing McManus’ design in 1948. 3. The statuette’s winged woman represents the muse of the arts, and the atom represents science. 4. Academy founder Syd Cassyd originally proposed to name the statue “Ike” — the slang word for a television tube. But, in the 1950s, “Ike” was the nickname of war hero and soon-to-be President Dwight D. Eisenhower. Instead, the Academy named the statue after a popular camera at the time, the “Immy.” A couple of years later, the Academy changed the name to “Emmy” to better correspond to the female statuette. 5. The Academy held the first Emmy® Awards ceremony on January 25, 1949, at the Hollywood Athletic Club. 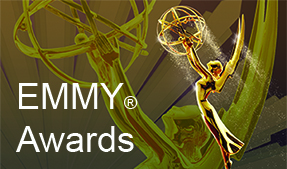 Only Los Angeles programming was eligible to receive Emmy® Awards (or “Immys” at the time). A total of six awards were given out. 6. Tickets to the first Emmy® Awards show were $5.00. 7. The first Emmy® statuette ever presented was for Outstanding Television Personality. Ironically, it was presented to a puppet. More specifically, the honor was presented to ventriloquist Shirley Dinsdale for the children’s show, Judy Splinters. 8. National Emmy® Awards weigh nearly seven pounds and are composed of copper, nickel, gold and silver. Regional Emmy® Awards weigh about three pounds. 9. 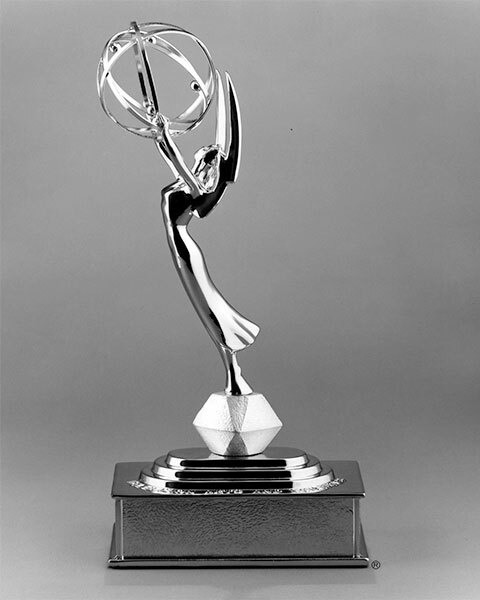 Regional Emmy® statuettes are manufactured by Chicago-based R.S. Owens & Co.
10. NATAS chapters across the country gave out 4,887 statuettes for the 2017-18 Emmy® Awards. The San Francisco/Northern California Chapter presents a statuette to each person listed on the recipient entry form – last year, that number was 235. WATCH a VIDEO about the Making of the Emmy® Statuette!